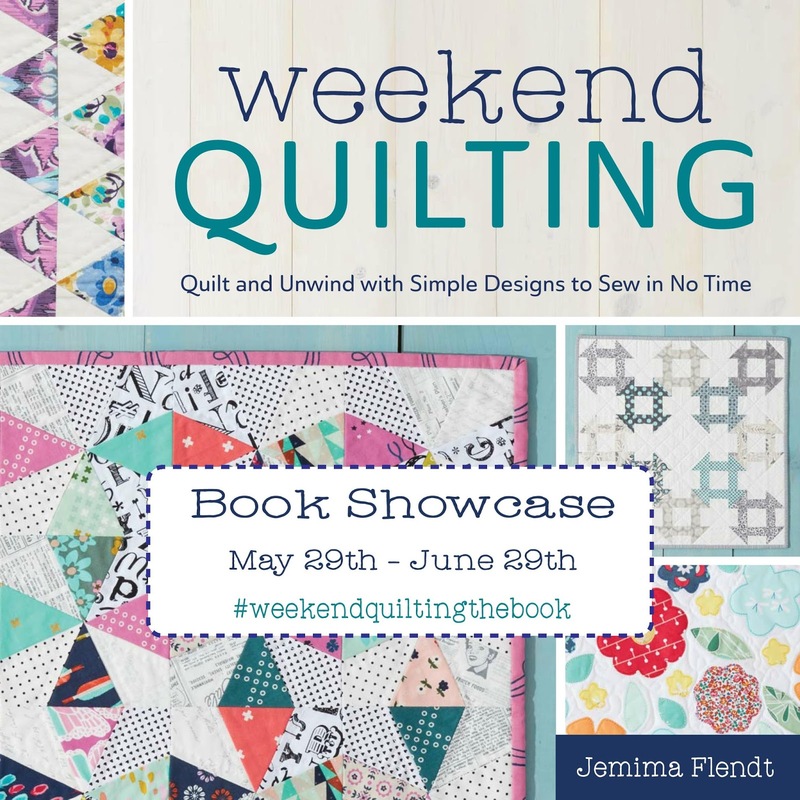 My first book - Weekend Quilting is finally here after lots and lots of work behind the scenes to make and write the 16 Projects for this book, finally I get to share this with you all. This really is a dream come true and I am so excited about its release. 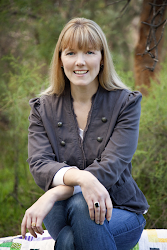 I know how busy our lives are, jammed packed with all of the work and family things that need to be done. I very much wanted to create a book that allowed time to sew and quilt so you could start and finish a project in a short time frame. 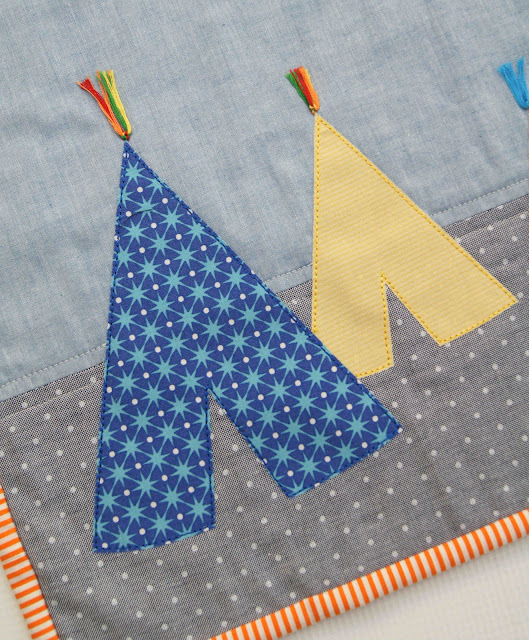 Weekend Quilting has 16 Projects including Lap Quilts, Mini Quilts, Pillow, Table Runners and even a Pennant all designed to be made within a weekend. 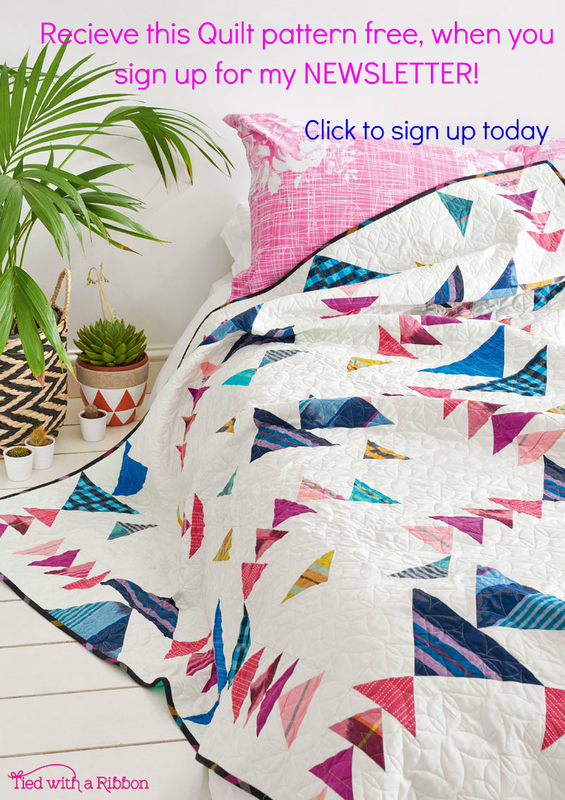 There are 8 Techniques involved and help you to grow your skills in quilting and sewing - from 9 Patch's to English paper Piecing to Foundation Paper Piecing - there really is something for everyone. 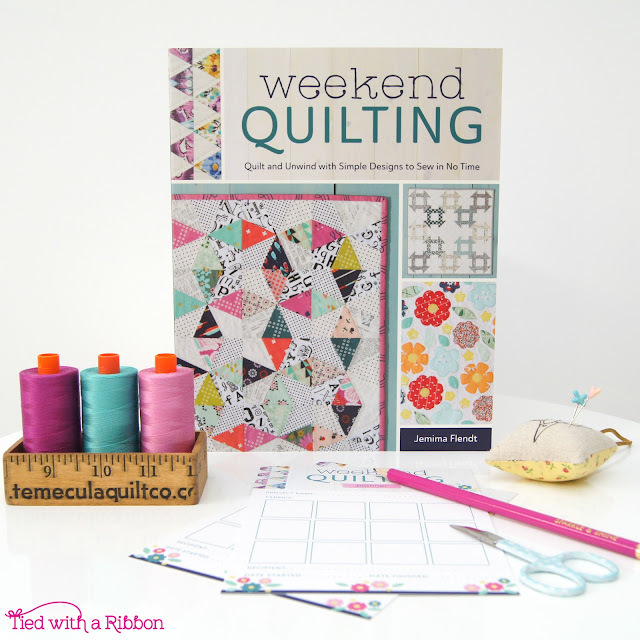 Beautifully illustrated with hand drawn Watercolour drawings, the book gives you all the instructions, Templates and helpful Tips and Techniques you will need. 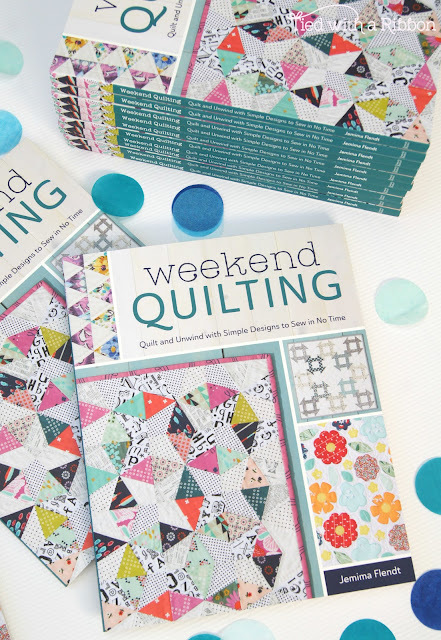 Weekend Quilting is Published by Fons and Porter. 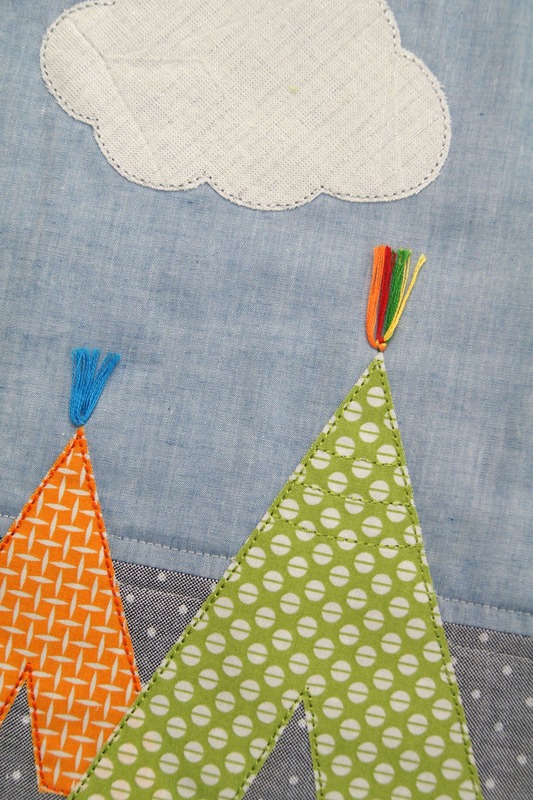 I will also be sewing along making one of the projects. 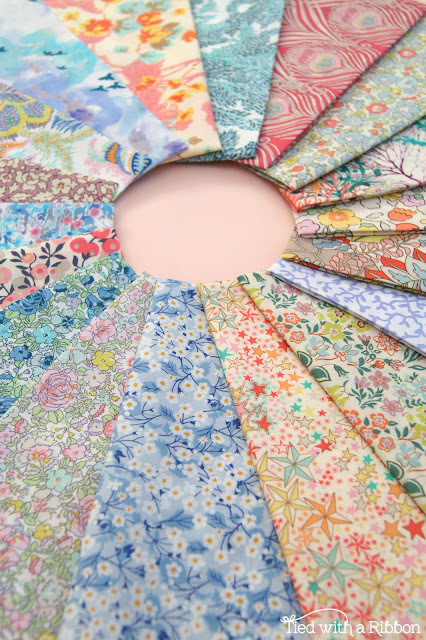 I wanted to make some of the projects in completely different colour ways to show how different they can be. 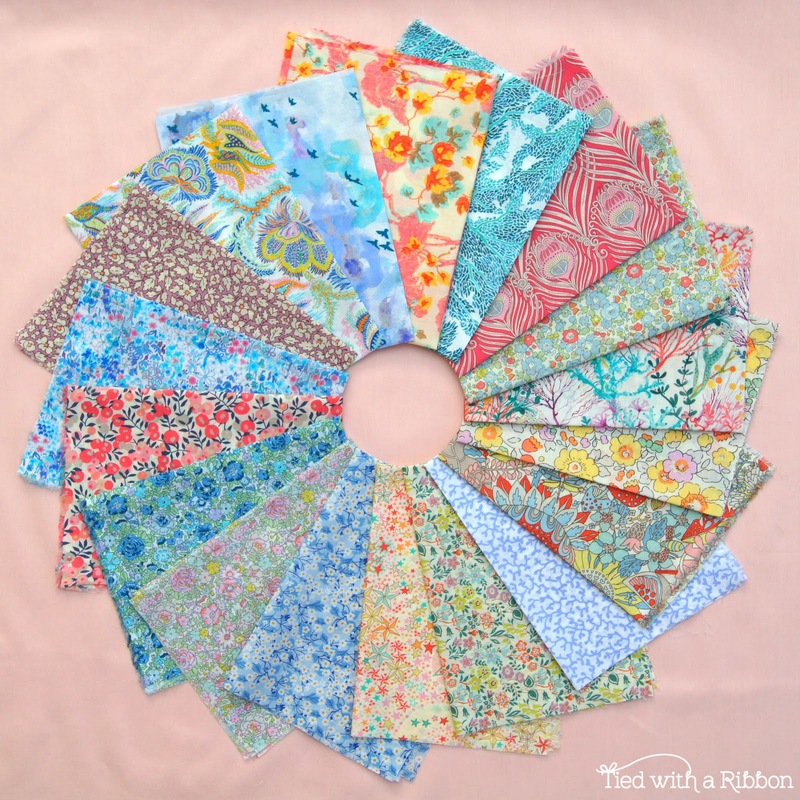 The Strawberry Thief were very generous in supplying the Liberty fabrics that I used in the book's projects. This beautiful bundle of Liberty Classics and Blush Solid are going to be used to make one of my favourite quilts from the book. 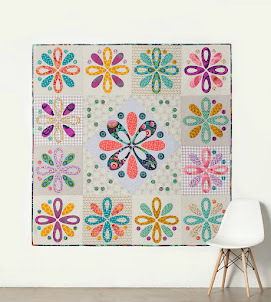 The Blooms Mini Quilt from the Book is made using the technique of Appliqué. 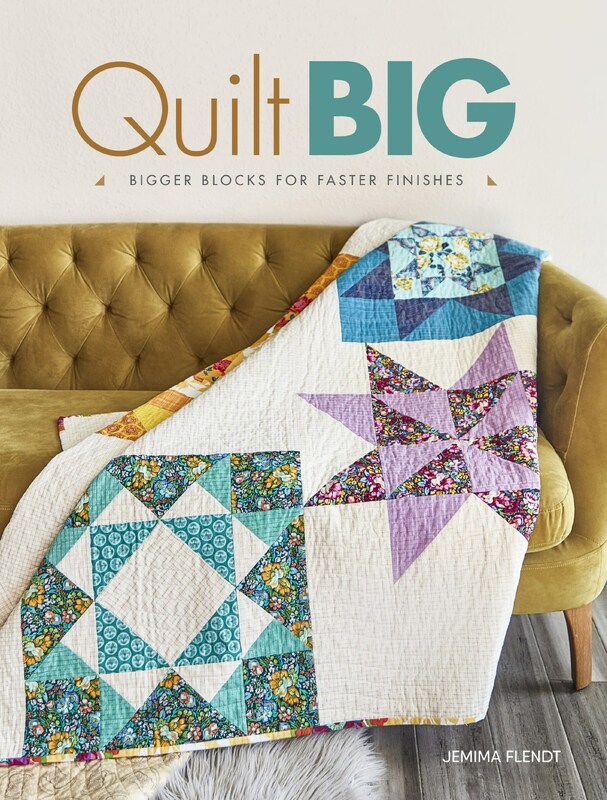 I have designed full size Acrylic Templates to go with this project so that you can make the Blooms Mini Quilt with ease (The book includes the pattern these are an optional addition). 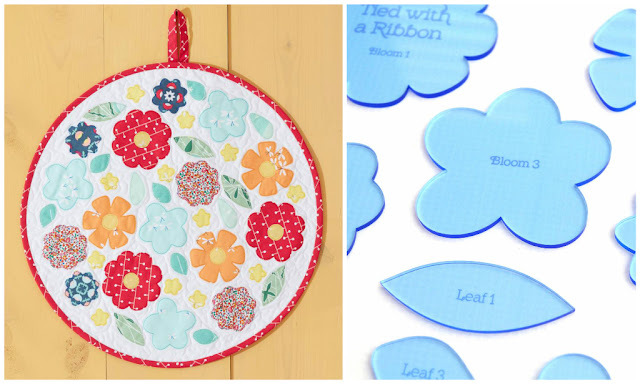 The Templates make for easy Tracing of the Blooms and Leaves for the Project. They are also versatile so you can use them anyway you choose. These Acrylic Template Sets are also available to purchase in my Store here. 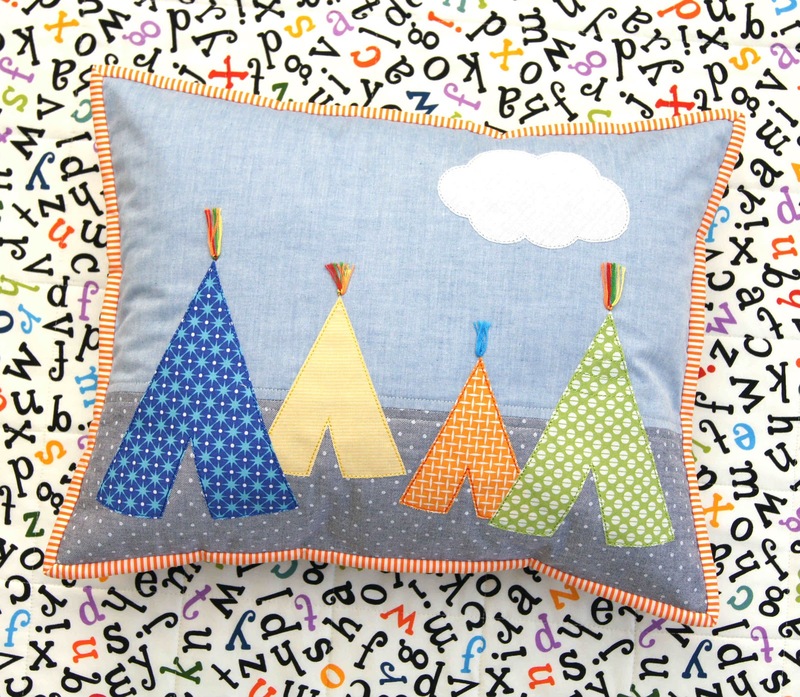 And now time for a Giveaway. 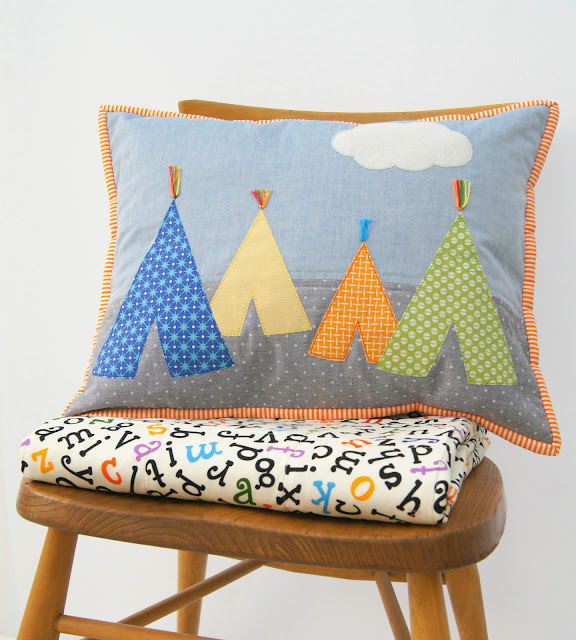 EDIT - Giveaway now closed! 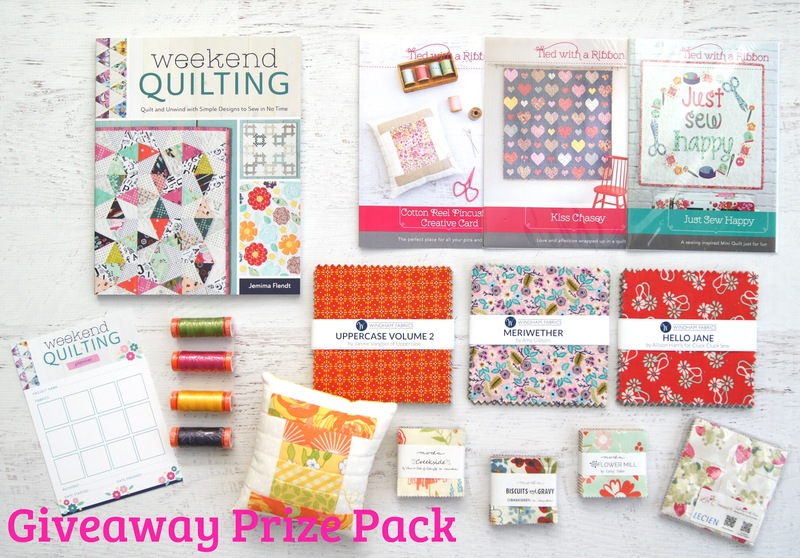 Lets kick off the Showcase with a Giveaway (EDIT _ GIVEAWAY NOW CLOSED) - to be in the running to win this Prize Pack (includes a copy of Weekend Quilting, Planner Card, 4 Aurifil Threads, 3 Tied with a Ribbon patterns, 3 Wyndham Fabrics Charm Packs, 3 Moda Mini Charms, 1 Lecien Mini Charms and a Cotton Reel Pincushion) tell me what you would love to Sew,Quilt or make on the Weekends. Leave a comment on this Blog post and I will choose 1 winner to receive the Prize Pack above (open worldwide). You have till Wednesday 28th June to enter and I will announce the winner on my Showcase date - 29th June, 2017. In a year where there have already been several of y friends having had babies and a few more expecting - this amazing book - "Made for Baby - Cute Sewn Gifts" by Ayda Algin for Tuva Publishing could not have arrived at a more perfect time. 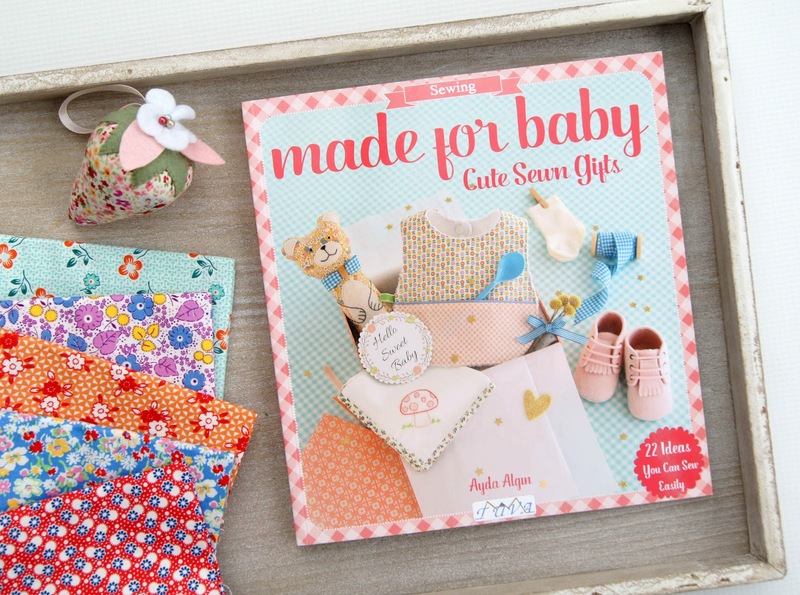 She has just released her book - Made for Baby and it has 22 beautiful gifts that you can easily sew to make for your own little ones or they are perfect to make as gifts. From Bibs, to Bags, to Toys, Baskets and Quilts this book has a project for everyone. 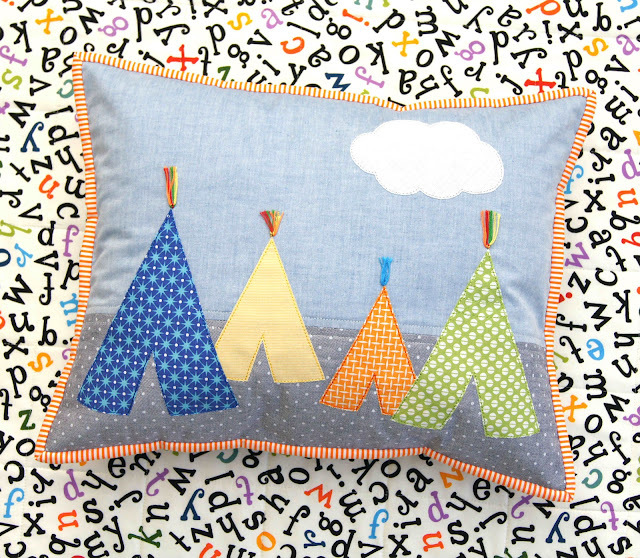 My lovely friend just recently had a little boy and the "Pillow with Tents" was the perfect gift to make to add to the Quilt that I had made for him. This really did come together so quickly - I used a Triple Stitch on my machine to sew around the Tents. 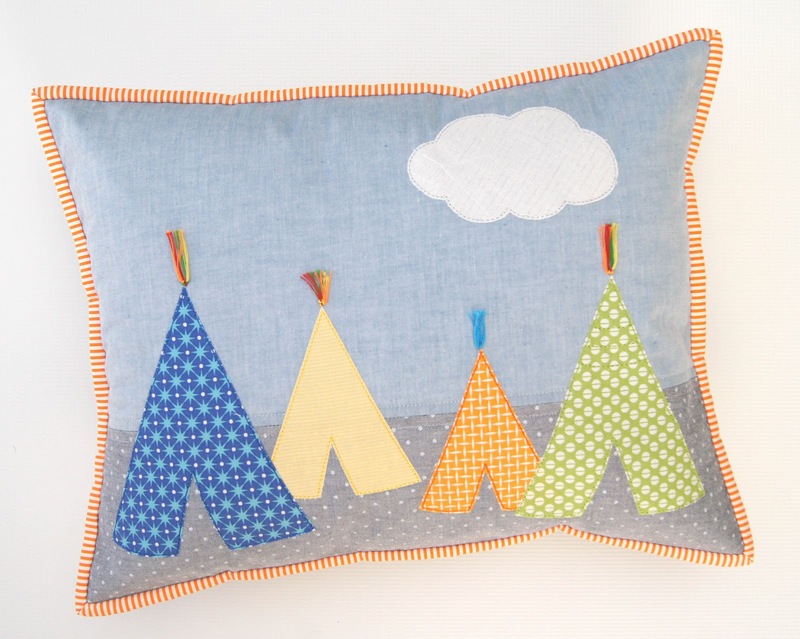 The pattern has small strips of Suede in the top of the Tee-Pee's but with none on hand I decided to use Embroidery Floss and tie it through instead. 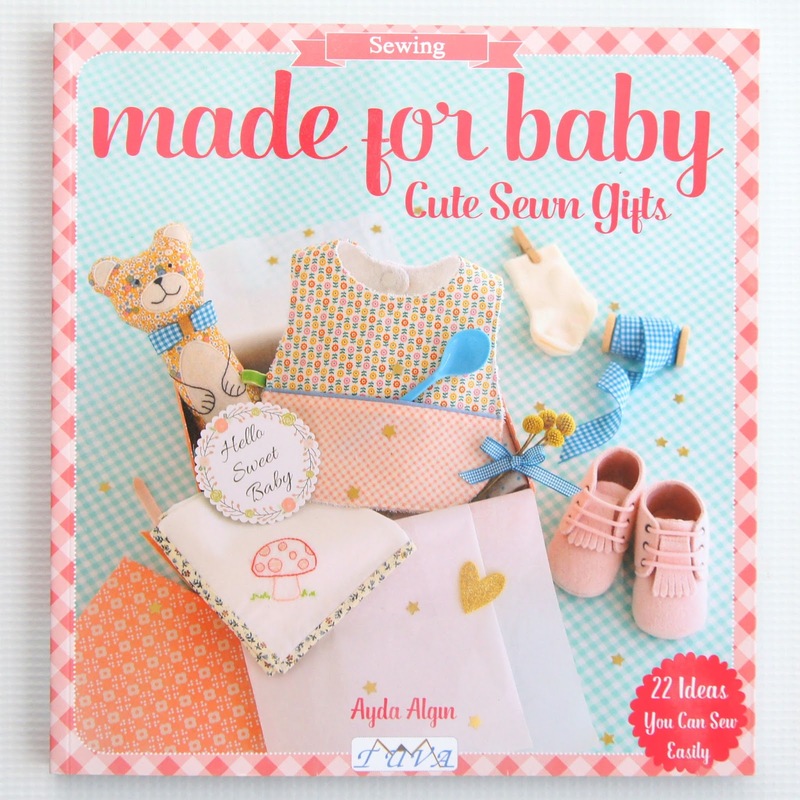 With so many other sweet makes in this book - this certainly won't be the last. 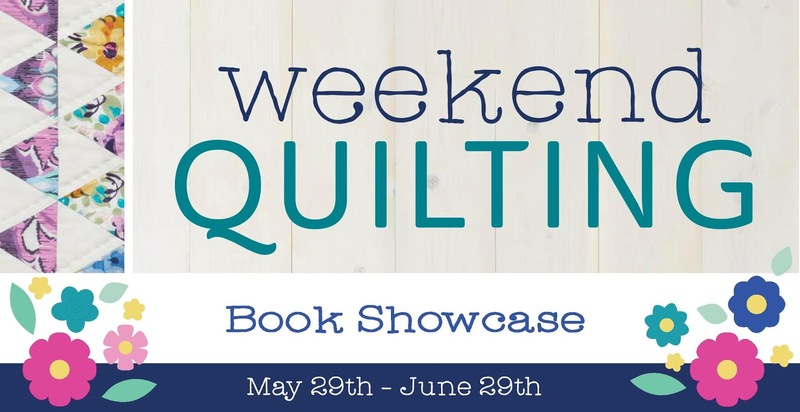 Make sure to check out all the other beautiful makes from everyone participating in this Book tour - you will love them.